Warts are usually a minor issue, except when they form on the soles of your feet. The painful warts make walking even short distances an unpleasant experience. 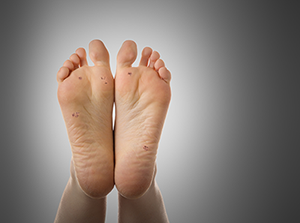 Your Gainesville, VA, podiatrist, Dr. Mukesh Bhakta of Prince William Foot & Ankle Center, offers treatments that get rid of warts and end your pain. Plantar, or foot, warts are caused by a strain of the human papilloma virus (HPV). You may come in contact with the virus while walking barefoot on a contaminated surface or through skin-to-skin contact with someone who has a wart. The virus enters your skin through tiny breaks in your skin caused by a minor scratch or even dry skin. Once inside, the HPV virus causes skins cells to grow rapidly, eventually forming a raised wart. Although warts on other parts of your body may appear bumpy, plantar warts are often smoother and flatter due to pressure from your feet. How can I get rid of a foot wart? Prescription Salicylic Acid: The topical product, applied at home, removes the wart layer by layer. Cryotherapy: Cryotherapy involves freezing the wart with liquid nitrogen. Warts usually fall off about a week after the treatment. Cryotherapy may be combined with salicylic acid treatment. Trichloroacetic Acid: The acid is applied after your podiatrist shaves away a few layers of the wart. It's also used in conjunction with salicylic acid. Immune Therapy: Injecting your wart with a foreign substance tricks your immune system into attacking and destroying the wart. Laser Therapy: If your wart doesn't respond to other treatments, your foot doctor may recommend laser treatment. The laser closes the blood vessels that feed the wart, causing the tissue to die. Several laser therapy treatments may be needed. Do you suffer from painful, uncomfortable foot warts? Call your Gainesville, VA, podiatrist, Dr. Mukesh Bhakta of Prince William Foot & Ankle Center, at (703) 753-3338 to schedule an appointment. Nail fungus can certainly try your patience. In fact, your nail may look unchanged, even though you applied anti-fungal medication every day for months. 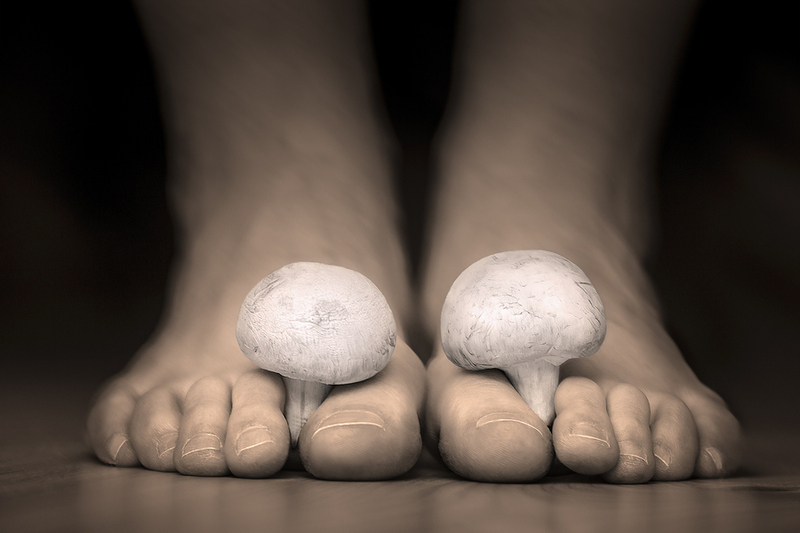 Laser nail fungus offers a quicker way to treat the stubborn fungus. Your Gainesville and South Riding, VA, podiatrist Dr. Mukesh Bhakta offers laser nail fungus treatment at Prince William Foot & Ankle Center. How does laser nail fungus treatment work? The topical medication you apply to your nail only penetrates the first few layers of your toenail. If you've just developed a fungal infection, or the infection is fairly mild, drugstore products may be helpful. Unfortunately, if you have a more severe infection, an over-the-counter product won't reach the deeper layers of the nail or the skin under the nail where the fungus flourishes, no matter how diligently you apply it. Laser nail fungus treatment reaches deep under your nail to kill the fungus that grows on the nail bed. Precisely targeted laser beams heat the pigment that gives toenail fungus its unappealing yellow color. Heating the pigment kills the fungus immediately. Although laser light is very effective in destroying the fungus, it won't damage healthy tissues in your toe. The laser that your Gainesville and South Riding podiatrist uses produces short bursts of laser energy called pulses. Each pulse produces energy that lasts less than a second, ensuring that your toe doesn't become uncomfortably hot during your treatment. Although your toe may feel a little warm and tingly, you will not be in pain during your treatment. Laser treatment doesn't cause any side effects. As soon as your treatment concludes, you can immediately return to your usual activities. 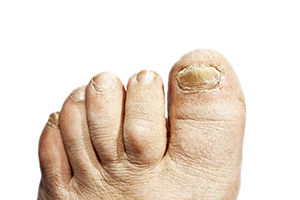 Will my toenail be clear after my laser treatment? Although the fungus will be dead after your treatment, your nail will still look the same. Over the next several months, it will gradually become clearer as new nail growth emerges from the bottom of the nail. Treat your nail infection with laser therapy! Call Gainesville and South Riding, VA, podiatrist Dr. Mukesh Bhakta of Prince William Foot & Ankle Center at (703) 753-3338 to schedule your appointment.